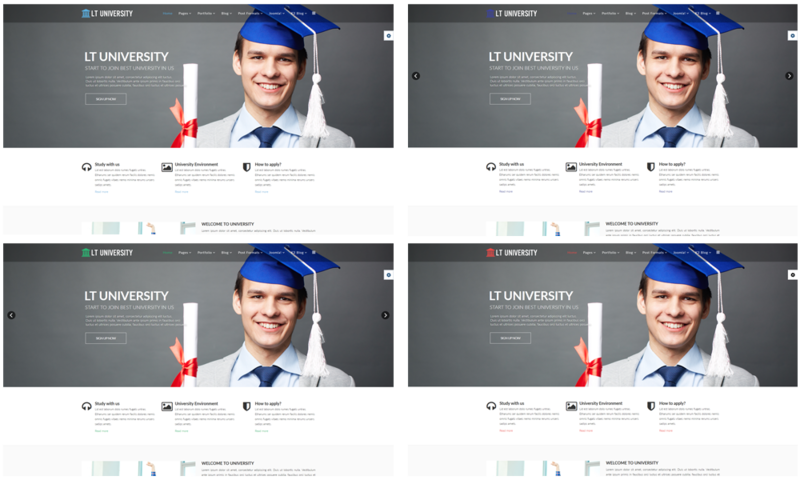 LT University Onepage is single page template of LT University Joomla template which is tailored for all types of education center from Primary School to High School, College, University to have a better connection with their student, parents, and approach to sponsors. 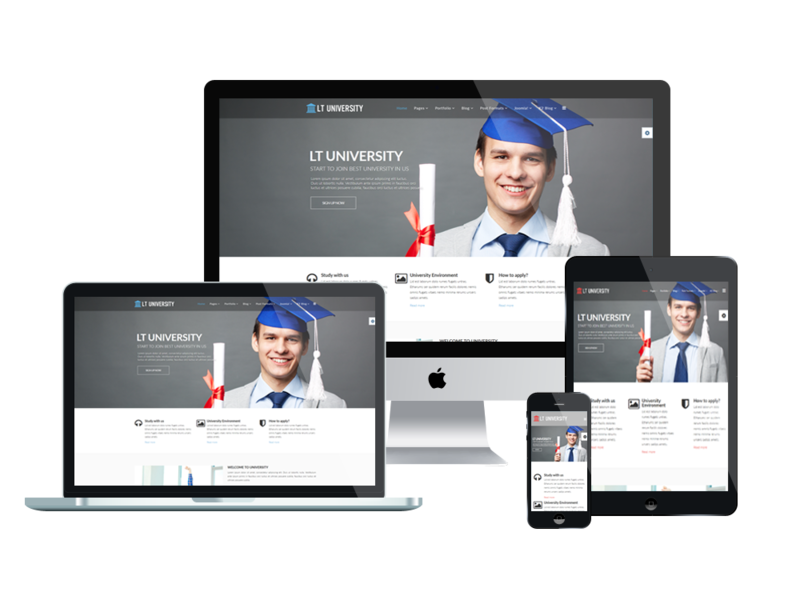 It displays well on all kinds of mobile devices with responsive, modern look in One Page style. Moreover, 6 colors schemes, drag-drop tools, and color settings are available as well to give your site amazing looks as possible. 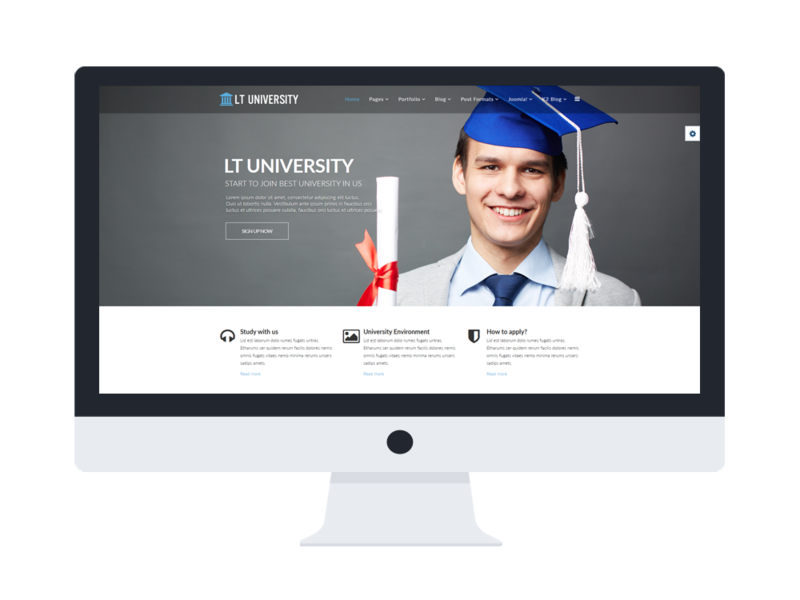 Educational website now is not boring as before, prove it to your visitors by going with LT University Onepage! 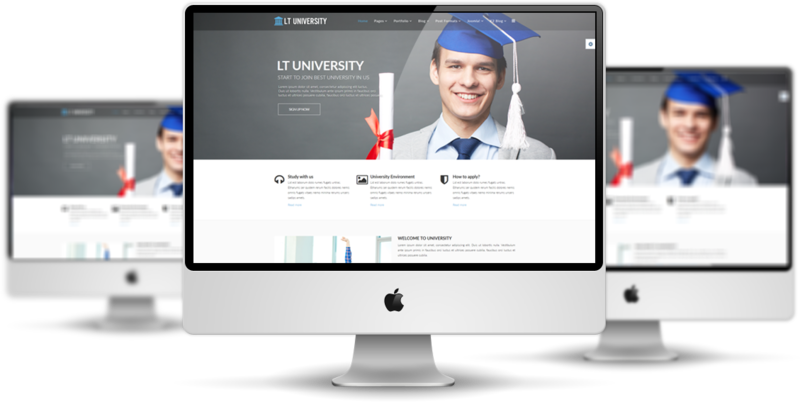 LT University Onepage supports mobile devices with responsive layout. The template framework with strong shortcodes, unlimited module positions, and easy to drag-drop layout content.